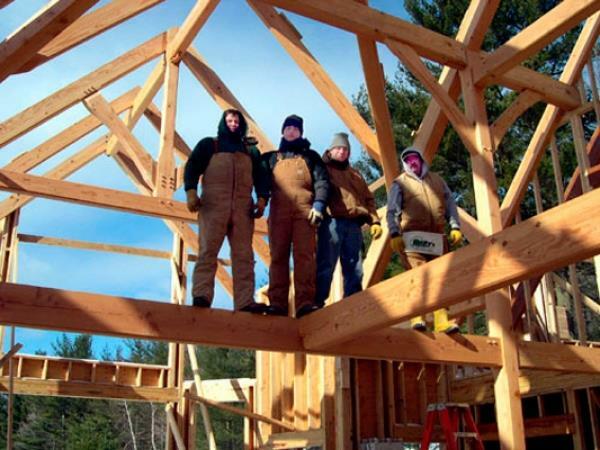 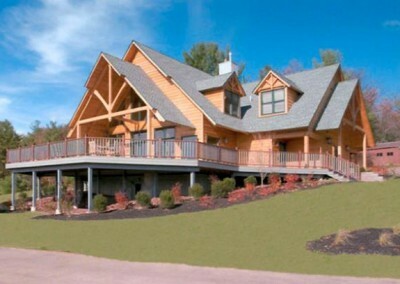 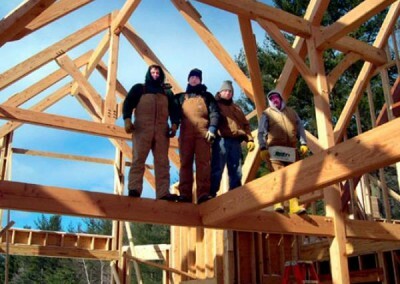 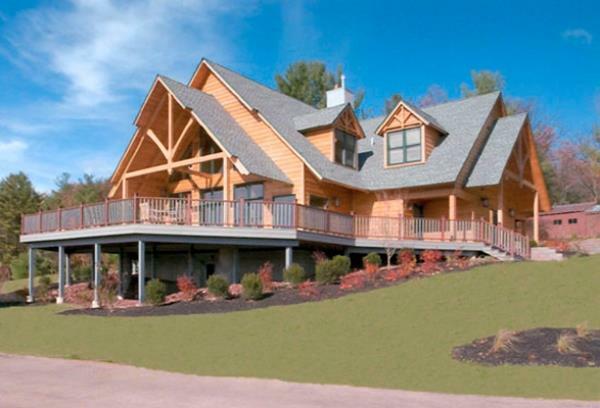 Quiet Hills Retreat | Lancaster County Timber Frames, Inc. 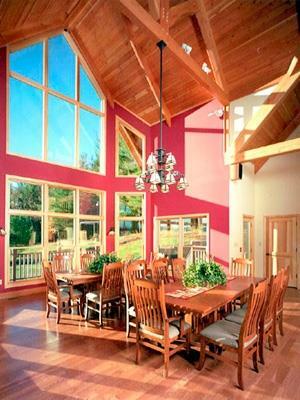 Although this timber framed building has an overtly residential appearance, the interior is spacious enough to accommodate a good many guests at any one time. 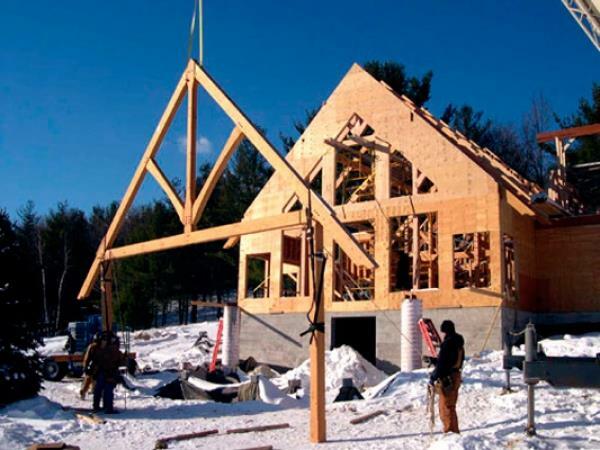 Without the timber framing in this religious retreat, though, the public and privates spaces could have ended up feeling bare and impersonal. 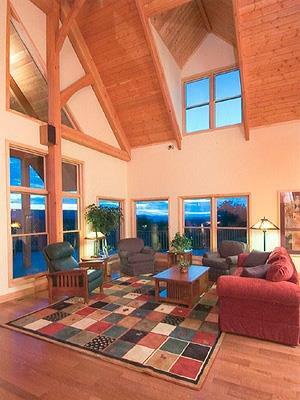 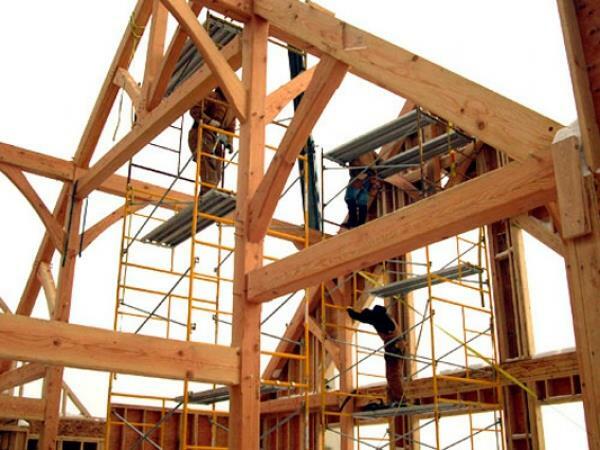 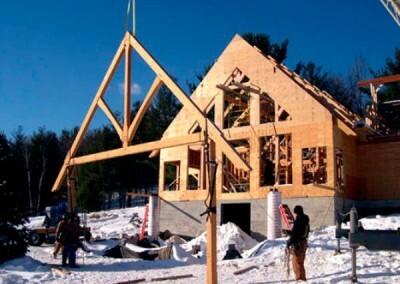 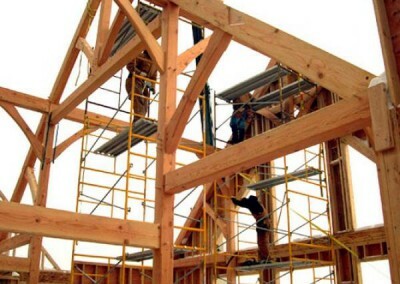 The Douglas fir timber frame gives the lofty spaces a more hospitable, intimate feeling. 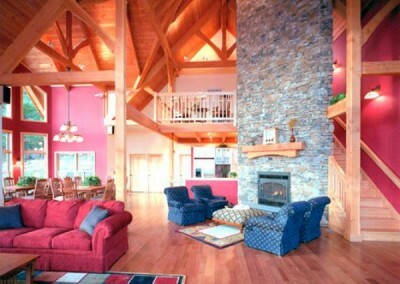 The naturally finished wood exudes warmth. This project is one of at least five that we have worked on with the firm of Richard Kapusta & Company Architects. 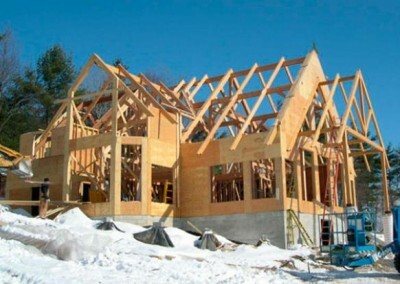 General Contractor: Penn Builders, Inc.